Ovation Global DMC has expanded its global presence with the opening of an office in Brazil. 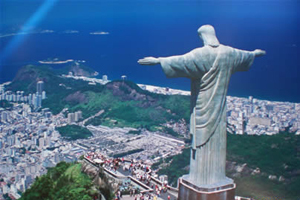 Ovation Global DMC's new office is located in Rio de Janeiro. Ovation Global managing director Padraic Gilligan, who is immediate past president of Site International, said Brazil had a growing conference and incentive offering. "Brazil's successful bids for the 2014 World Cup and 2016 Olympic Games are testament to its vibrant appeal as a destination capable of hosting prestigious large-scale events," said Gilligan. "The opportunity to provide our customers with Ovation services in this exciting destination is irresistible." Ovation Global DMC announced the opening of its Brazilian office at the EIBTM show in Barcelona today.